In early August, 2008 I took a short trip from Costa Rica to David and the Lost and Found eco-hostel, both in Chiriqui, Panama. I would have liked to explore more around David but due to time and transportation limitations, wasn’t able to look for Veraguan Mango. 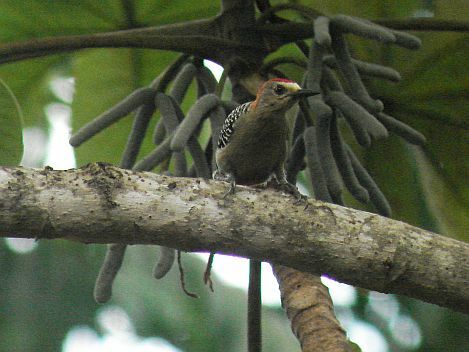 Nor was I able to bird the extensive mangroves and nearby forested islands in the Chiriqui gulf. 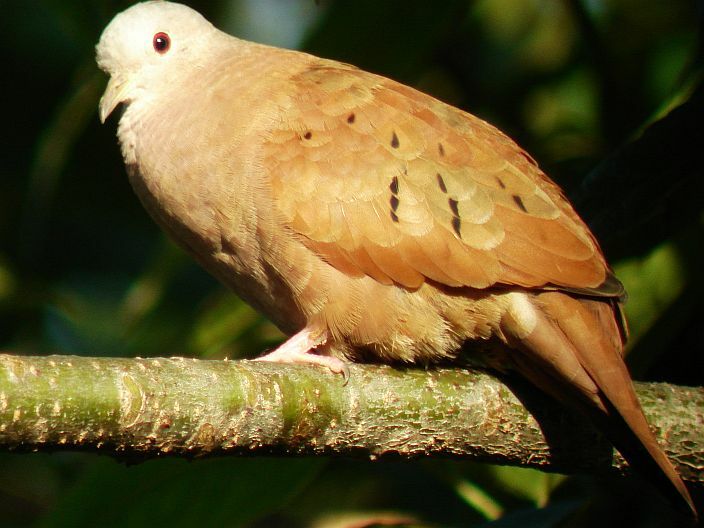 Nevertheless, I hope to give birders an idea of what to expect and at the same time encourage them to explore underbirded, promising areas near David. I certainly hope to do so at some future time. 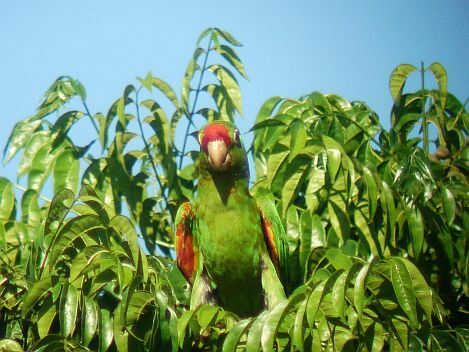 David, the second largest city in Panama, is pretty birdy as a result of green space in the form of empty lots, gardens and many remnant trees. 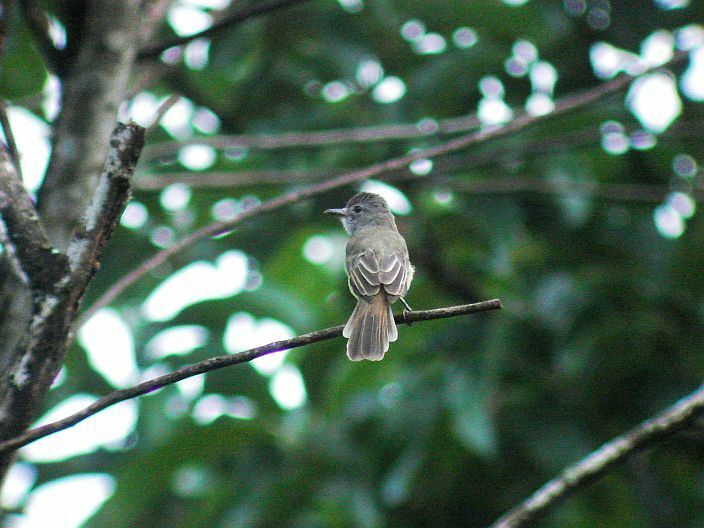 Found in the Pacific slope lowlands of western Panama, David is hot and humid and located at the junction of drier habitats to the east and wet forests of the Chiriqui Endemic Bird Area to the west. 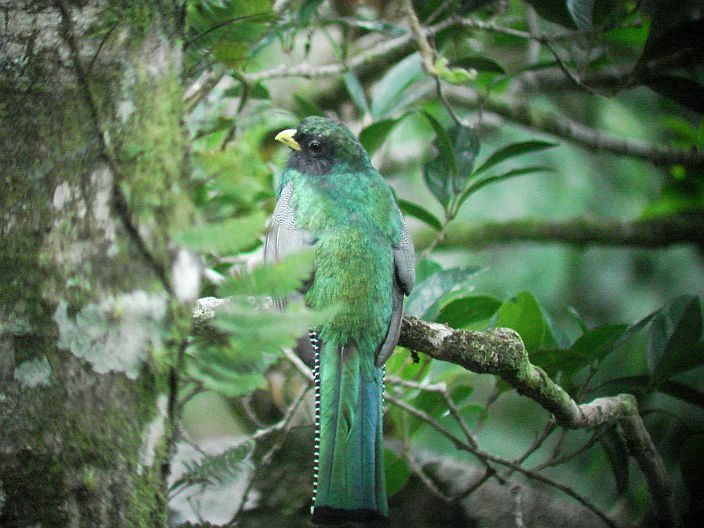 As is the case of most urbanized areas, birding is better outside of the city but if you can’t do that at least you should see a fair number of widespread neotropical species. I visited Pedegral Port one morning hoping to get images of aquatic species. Although I didn’t get lucky with aquatic birds, it sounds like a boat trip through nearby mangroves would be very worthwhile according to Guido Berguido who apparently found Yellow-billed Cotinga! Pedregal is found at the end of the main road heading south from the airport. There is a small yacht club with small restaurant. Overall, the place was undeveloped; don’t expect that to last for long! This would be an excellent place for mangrove education and tourism. I took a taxi there for about $3-$4. Buses are also available but may be infrequent. 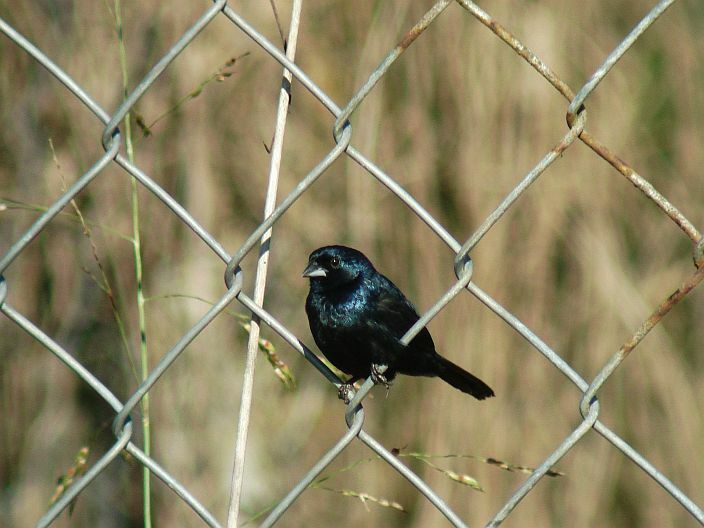 Blue-black Grasquit; one of the most common neotropical bird species. 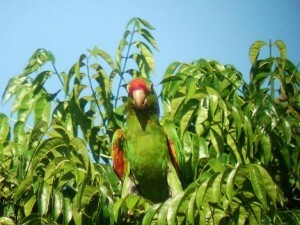 Crimson-fronted Parakeets are especially common in David. 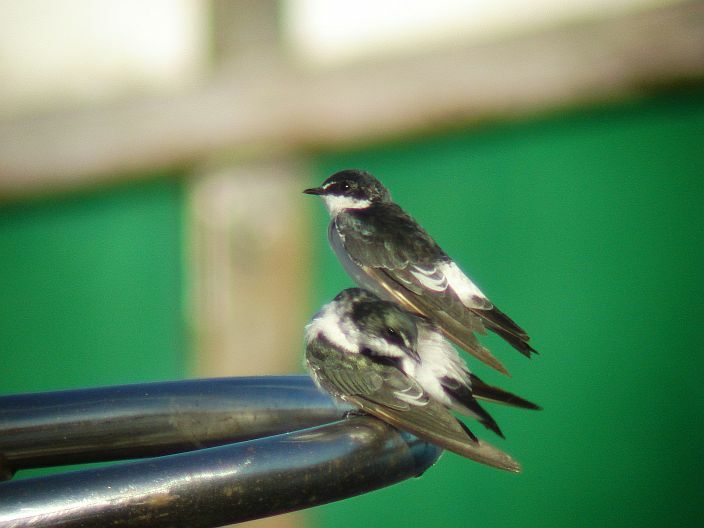 Mangrove Swallows fall into the cute category. The Lost and Found Eco-Hostel is probably one of the only hostels in the world nestled within it’s own cloud forest preserve. After running into several of their pamphlets at other Panamanian hostels, I finally got the chance to visit for a few days in early August, 2008. Located at 1,200 meters on the Pacific slope, aside from some shade coffee and a small orchard, this hostel is surrounded by a large area of old growth moist and cloud forest. 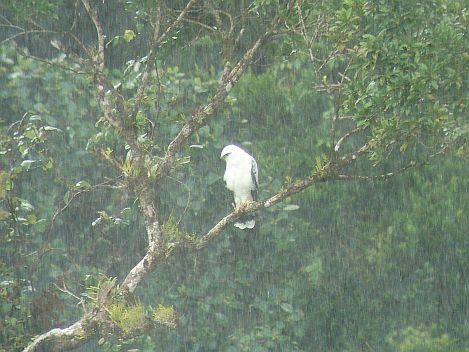 Birding was pretty good around the hostel itself with American Swallow-tailed Kite being one of the more common, spectacular species. For most of the day at least a dozen graced the sky with their aerial acrobatics. Mixed flocks and frugivores often came through the trees near the hostel, especially the forest edge at the trailhead. The few trails that accessed the forest were fairly muddy and rough but offered good birding and extended for a few ks. One trail apparently reaches a river and enters forest with a more Caribbean slope aspect. 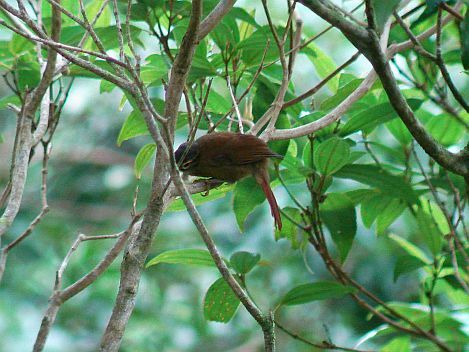 The upper part of the trail that follows a ridge with stunted trees and bamboo probably has specialties such as Maroon-fronted Ground Dove and Blue Seedeater. Although one of the owners, Andrew, is there most of the time, it’s probably best to contact them before visiting. Both he and Patrick were very helpful and friendly. 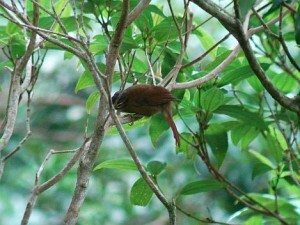 They manage the place quite well and even have a feeding platform for nocturnal animals. I look forward to my next visit. The following is a list of all species recorded (66 total) during a stay of about three days with notes on abundance. As I was focused on bird photography, birders working the trails should come up with several more species. 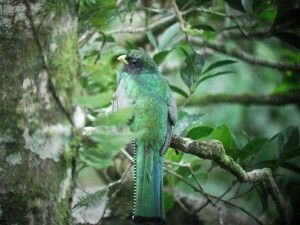 Regional endemic taxa are highlighted, a few photos at the end. Saw this stunning White Hawk sitting in the pouring rain. 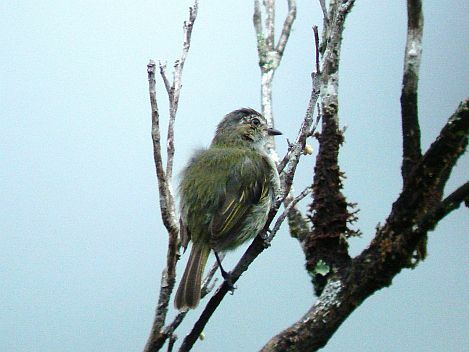 The most common, widespread Myiarchus Flycatcher: Dusky-capped Flycatcher. 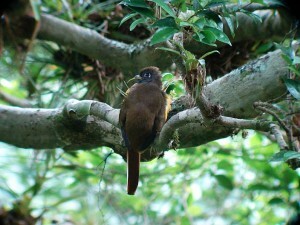 Young Trogons are funky looking birds indeed! 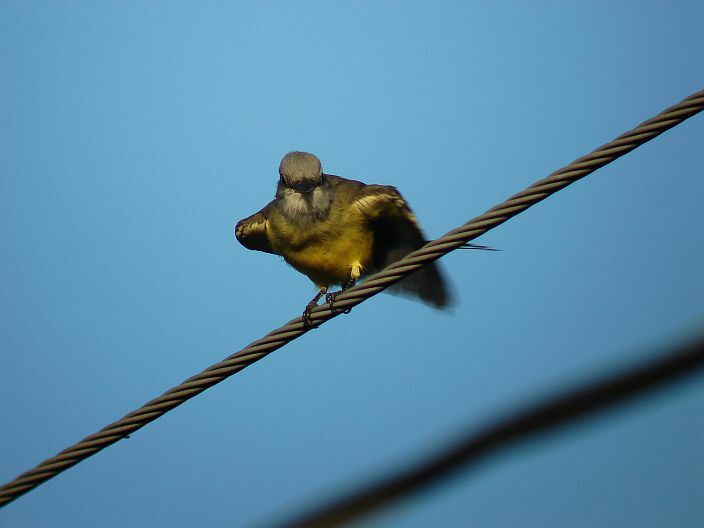 This is an Orange-bellied. 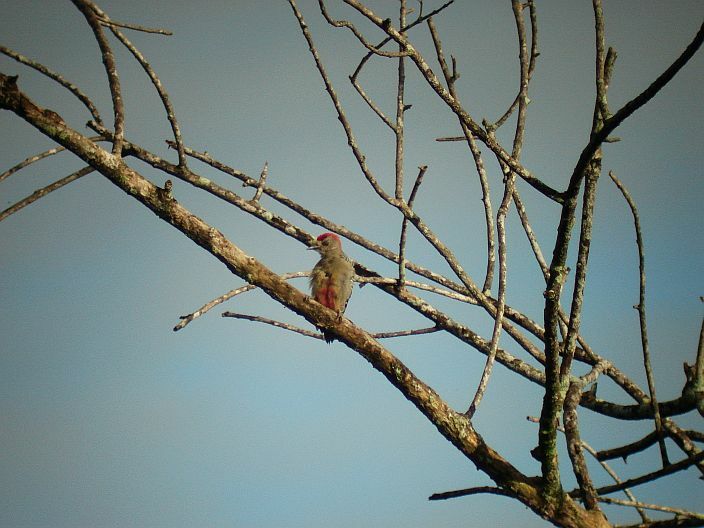 Here is the dapper adult male. 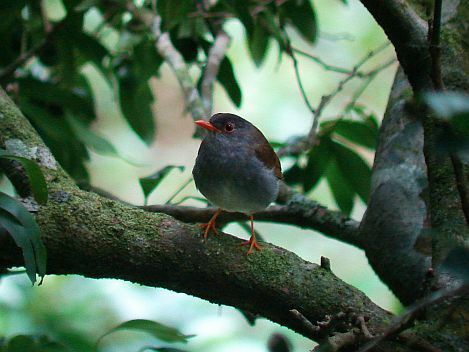 Orange-billed Nightingale Thrushes were very common. 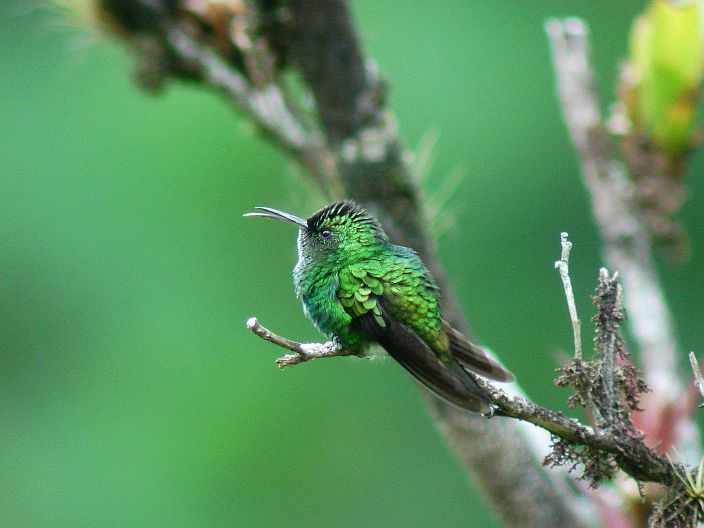 This White-tailed Emerald is sticking its tongue out. Thank you for the post. My husband and I are thinking of going to Panama to go birding in February or March of 2012. @Hope you do the trip. Panama is wonderful for birding!